We have just recently made the foray into the embryo transfer business and are anticipating some great results. We flushed a couple of our best cows in 2015 and will have some ET calves out of Connealy Capitalist, SAV Net Worth, and Connealy Combination for the 2017 calf crop. We also have picked up some cows out of the area to bring some fresh genetics into our herd. The top selling bred heifer in the 2016 Fall Mckellar Female Sale! We purchased this heifer because of her moderate flawless phenotype, and some of the best feet I have seen! Based on the shape of her udder and growth of her fall 1st calf out of Bartels In Demand she is going to be quite the cow! Look for calves next year out of Bronc, Xpand, Sunrise, Flat Top and some other potential great matings! 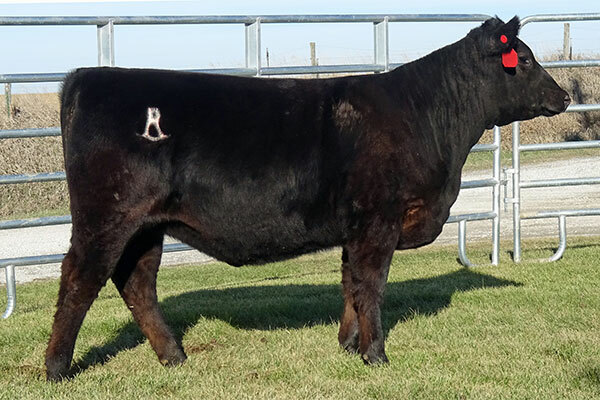 Direct daughter of DSA New Direction 1022 sought out for her ability to add big time carcass quality traits as well as maintain fleshing and add dimension! We look for some big genetic improvements out of her progeny! Co-owned with Reverse Rocking R in Maxwell, NM and 7 Oaks Angus Durant, IA. Our Simons Cattle Company selection at the 2018 National Western Foundation Female Sale. A VAR Discovery daughter out of the dam of PA Valor! Exceptional EPD profile as well as impressive phenotype and femininity! 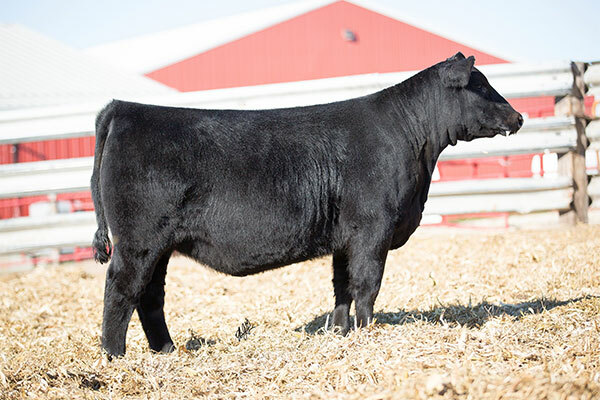 Look for calves in 2019 out of this powerful heifer! Co-owned with ELK Angus Buffalo, WY. We picked up this pathfinder cow from the 2012 Sandpoint herd dispersion. She has produced 6 @ NR 110, 4 @ YR 107! She descends maternally to Pleasant Pill of Conanga – Dam of KCF Bennett Coalition and Connealy Frontline. She is the Grand dam of B/R New Frontier and Baldridge Kaboom. This cow adds the power of SAV Net Worth to that lineage. She has placed a couple of sons at the top of ours and Sandpoint’s bull sale offerings every year. We currently have embryos out of EF Commando, Baldridge Titan, and Baldridge Bronc that I’m sure will be at the top next year! Another top end heifer 1/2 owned with Reverse Rocking R Ranch in Maxwell, NM. 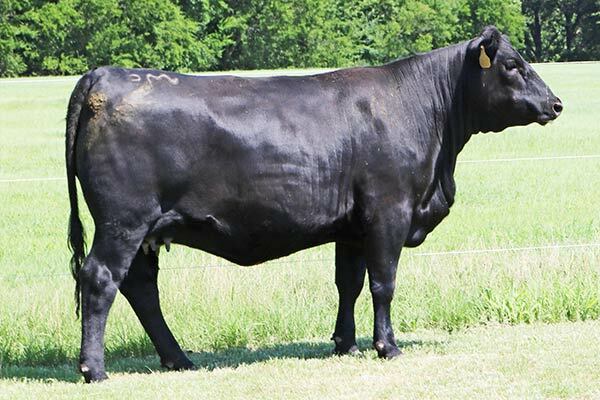 A heifer with maternal lineage to a "Connealy pick of the dams" Granddam is Breesha of Conanga 1251. Elite pedigree, phenotype, and EPD profile!